For assistance, please call our customer service line at 479.802.9421. You can email your list of names to us after you order, or you can enter them here. Not all products are available in all colors. Please remember that monitors and printers vary by type and manufacturer so the color as you see it may be slightly different from the final product. 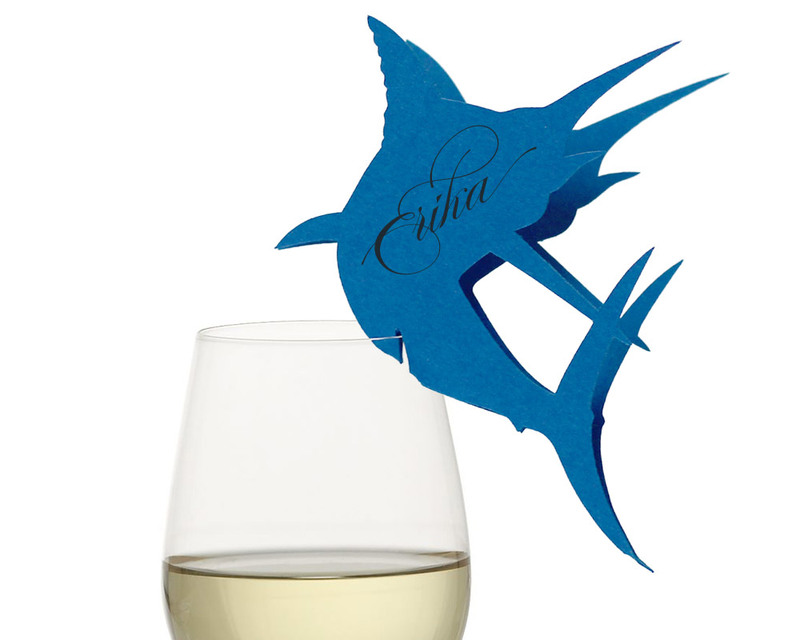 Our handcrafted place cards gracefully perch on wine glasses making any table more eye-catching. 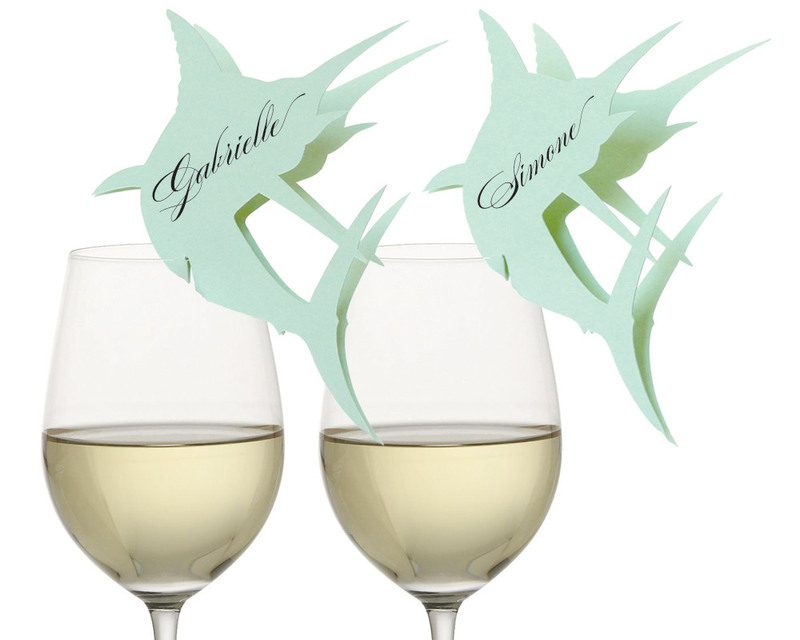 These unique paper cutout silhouettes guide guests to their seats with whimsy and charm. They provide decoration for events from the largest wedding reception to the most intimate dinner party. Guests will enjoy having their own place card to take with them as a keepsake to remember your special occasion. Hand write your guests' names in the spaces on the place cards, open slightly, and slip the notch over rim of water goblets or wine glasses for a lovely dinner party accessory. Names can also be printed in an elegant script font for an additional fee. If your order contains custom text such as names, or personalized text, an automated email will be sent to you after you place your order. This email will ask for the custom text for your pieces. We'll communicate over email to understand the exact personalization you're looking for. As soon as you place your order, our designers will begin to layout your order. If you've ordered invitations, programs, or menu cards, we will send you a proof for your approval within two business days of your order. All orders are custom made in our Bentonville, Arkansas studio. Please allow 3 business days for production. Orders placed today will ship on or before Apr 24. Invitations, and other custom designed products, may require extra time for proofing. When your order is complete, we will send you notification and tracking information. Shipping times vary depending on location and method of transport. See our shipping page for further information.